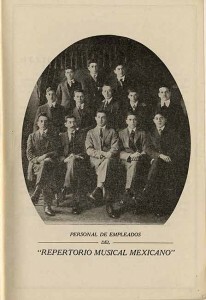 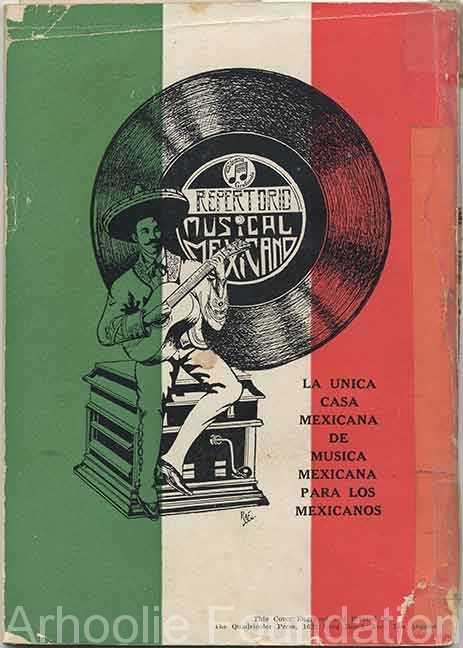 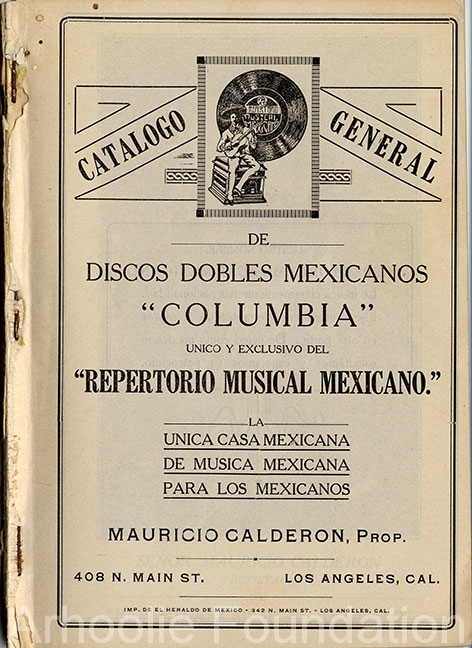 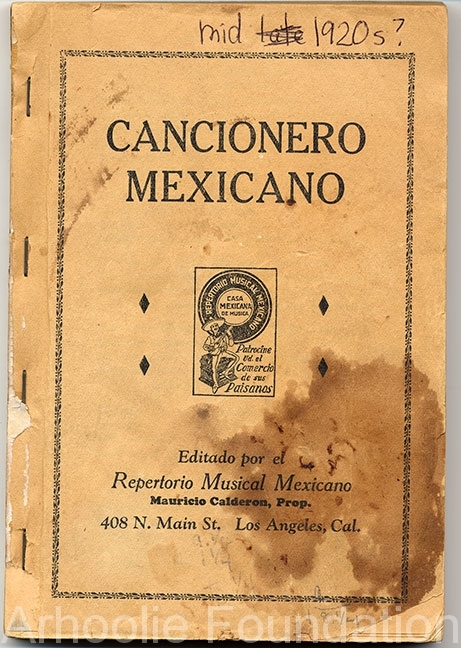 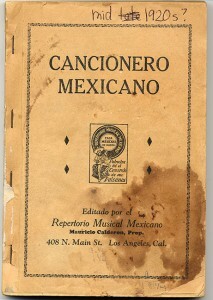 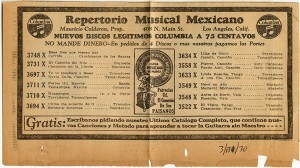 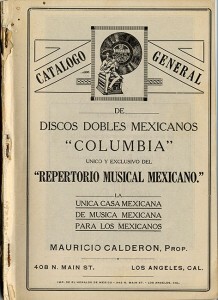 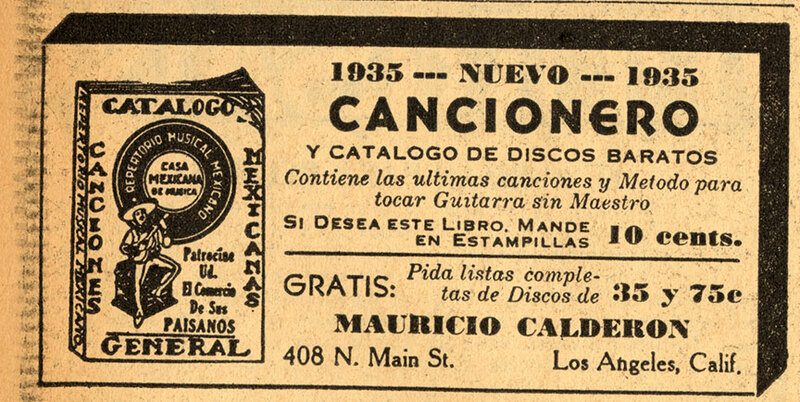 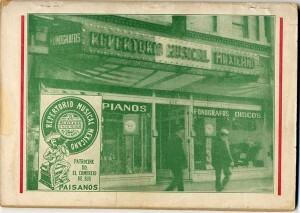 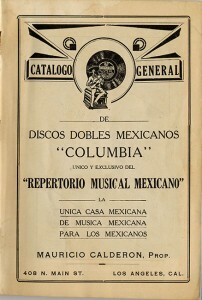 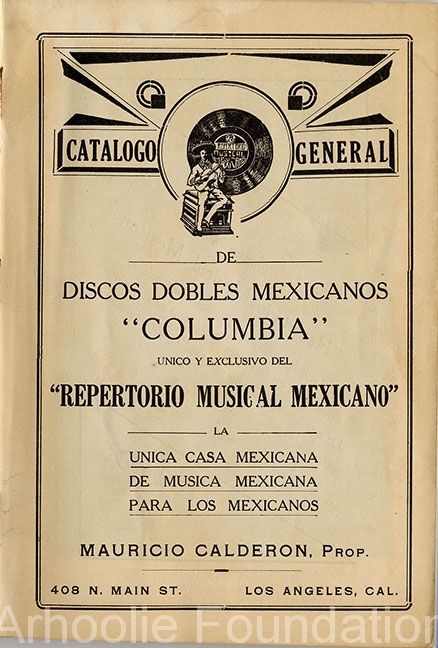 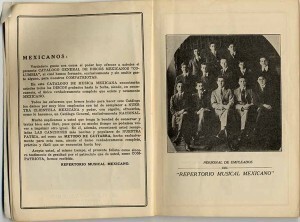 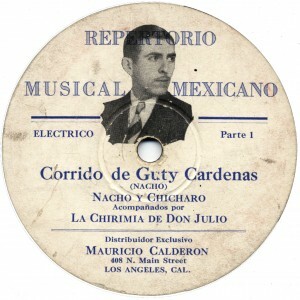 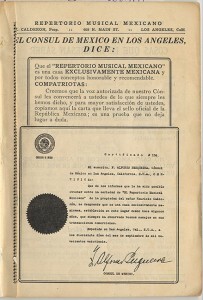 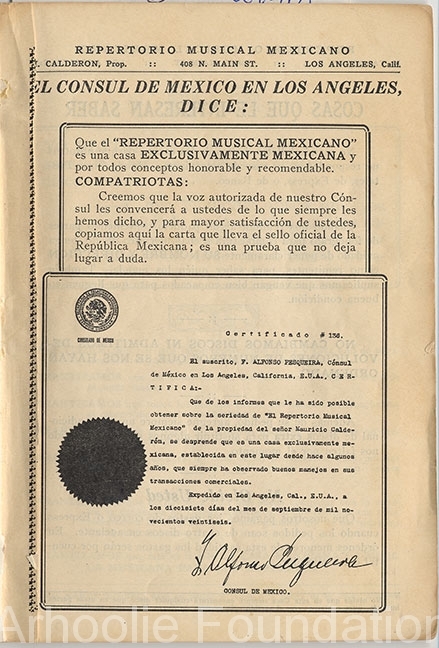 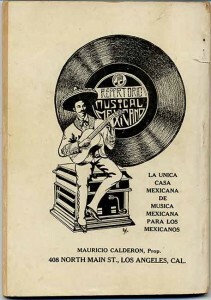 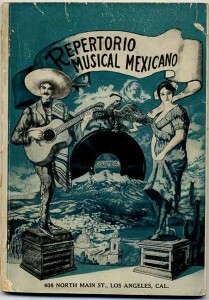 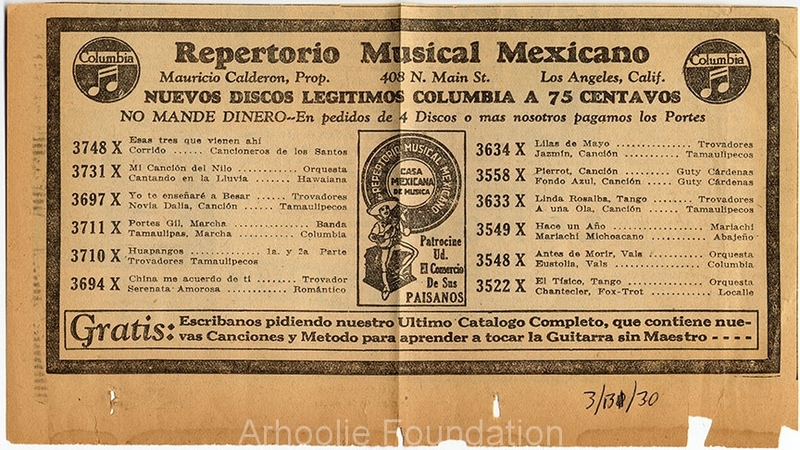 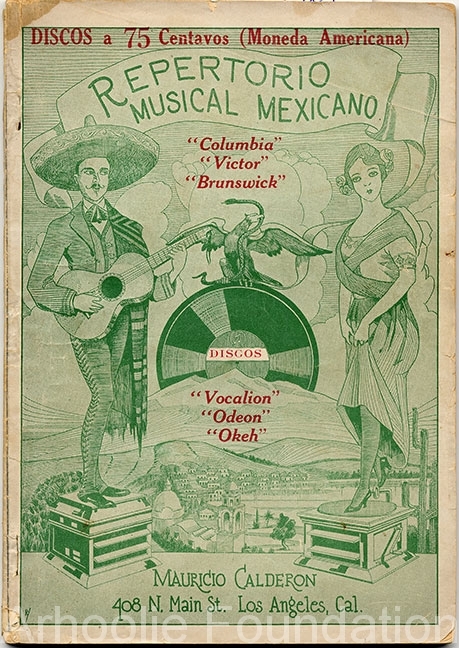 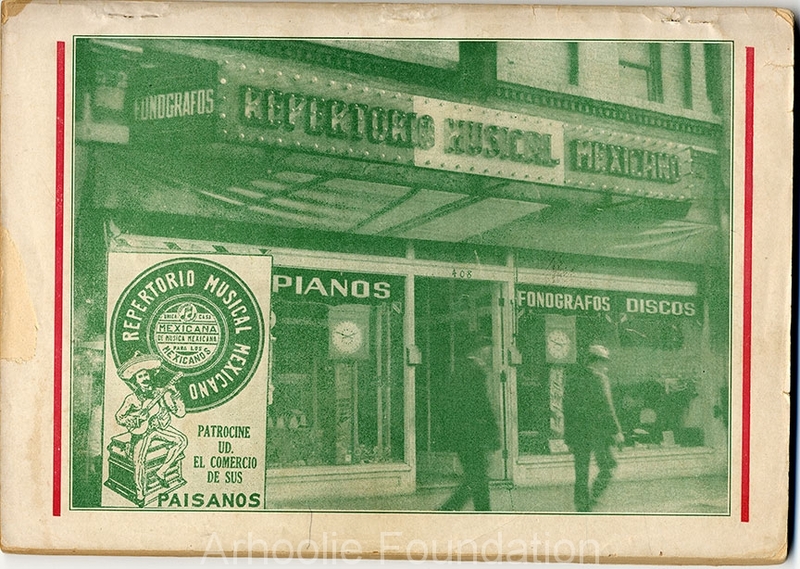 Repertorio Musical Mexicano (also known as La Casa de Musica, and La Casa de Musica de Mauricio Calderón) located at 408 North Main St., Los Angeles, CA, was founded by Mauricio Calderón around 1915, and remained in business until the mid-1940’s. 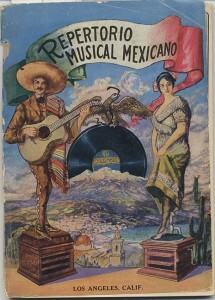 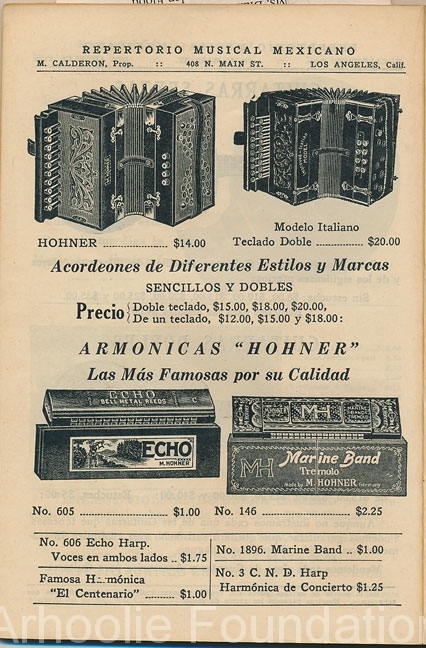 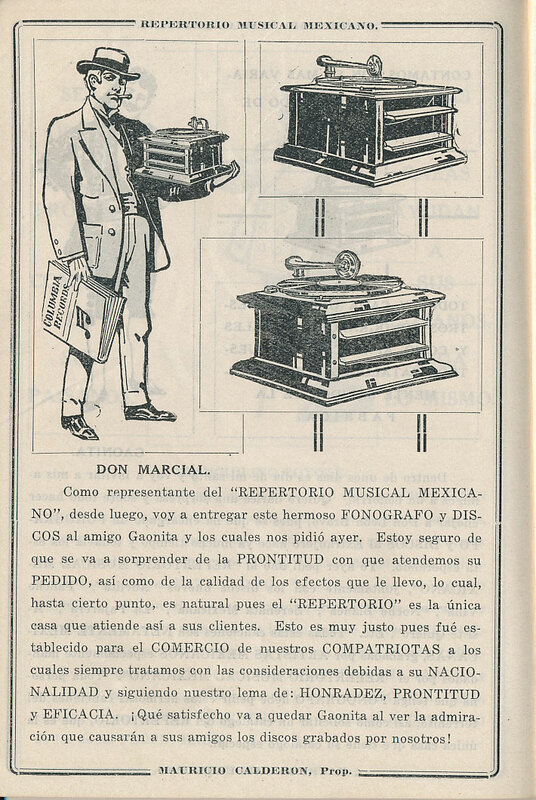 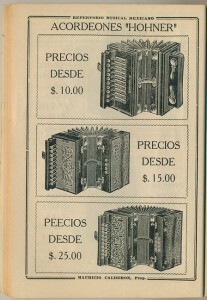 Their elaborate catalogs featured everything from 78 RPM records to phonographs to musical instruments. 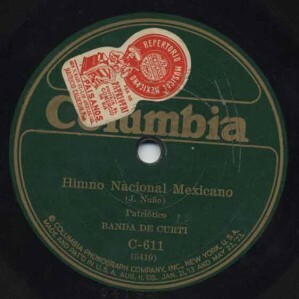 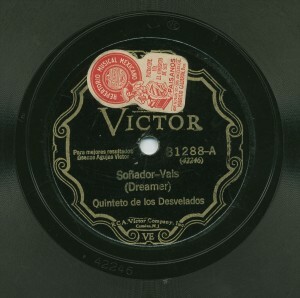 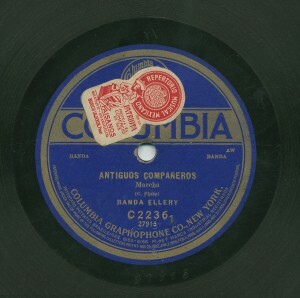 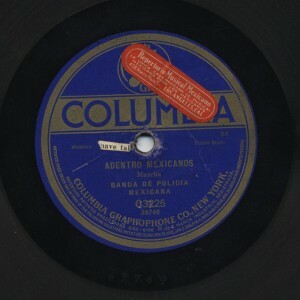 Their sticker could be found on all the 78s they sold (see image gallery below). 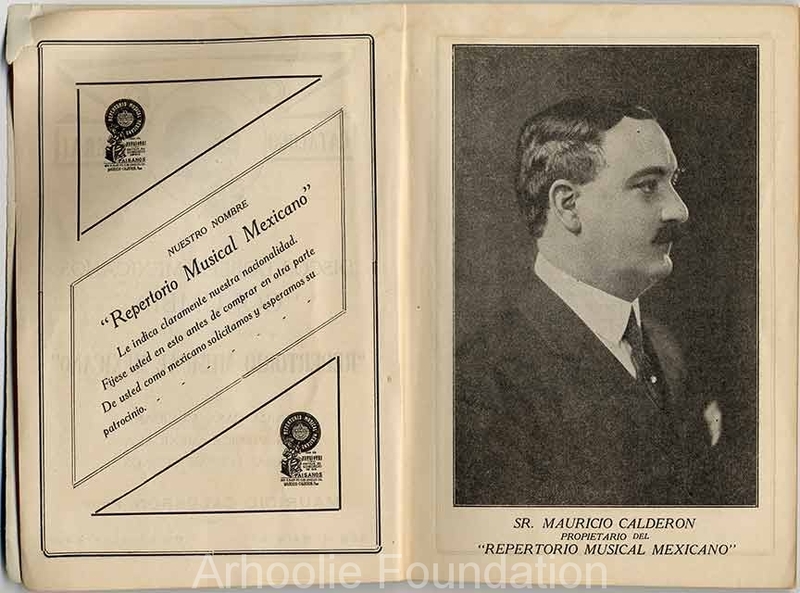 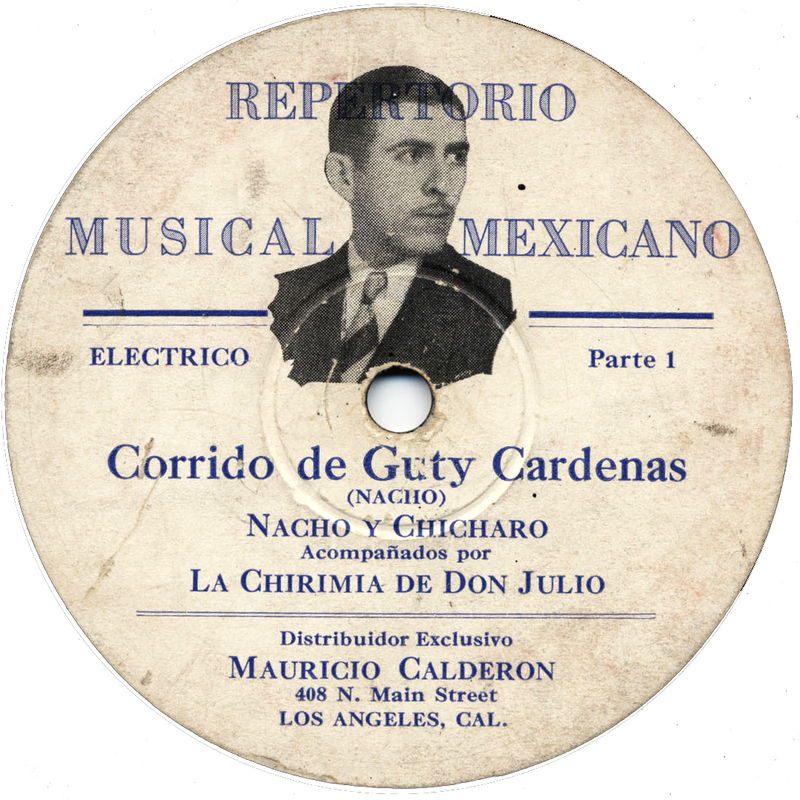 Calderón (8/20/1881 – 6/3/1945) was born in Chihuahua, Mexico and came to Los Angeles in 1913. 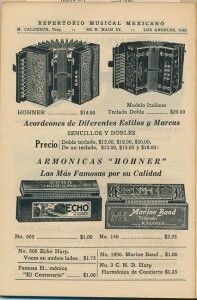 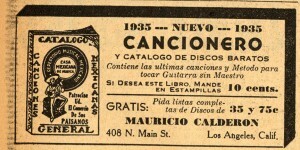 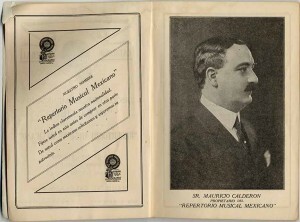 Through his store Calderón became a major figure in the Spanish language music scene. 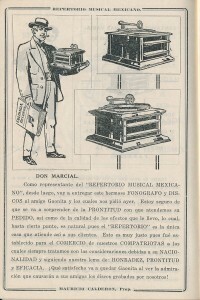 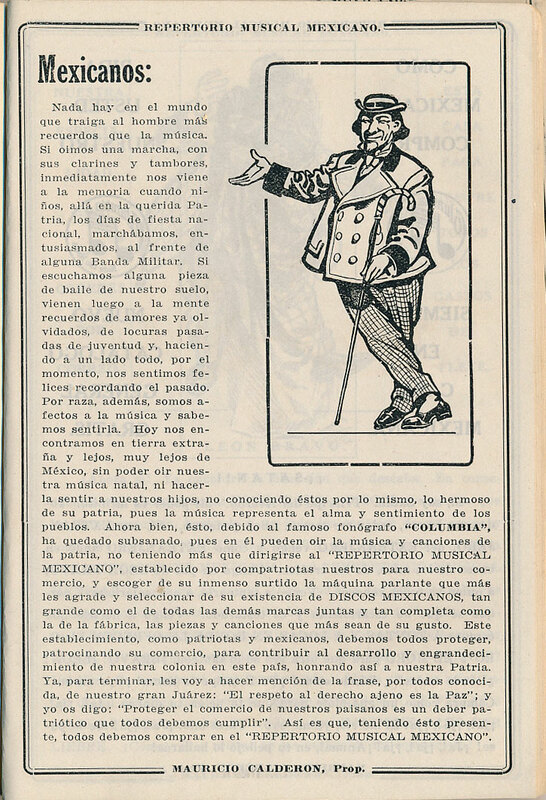 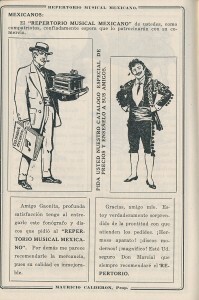 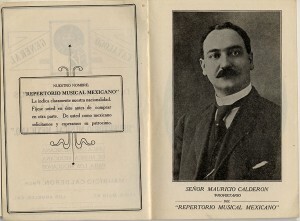 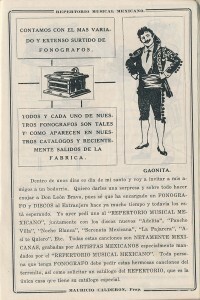 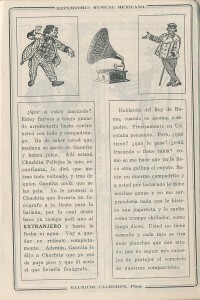 Calderón was also very involved in radio. 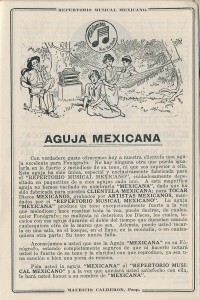 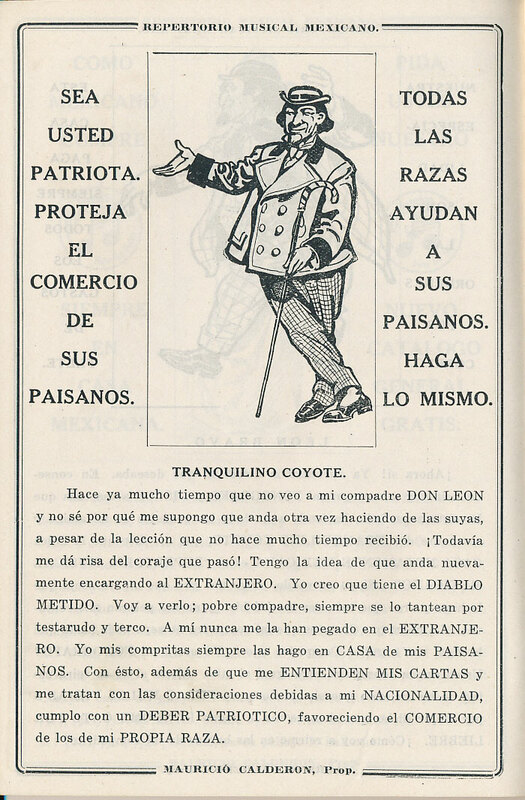 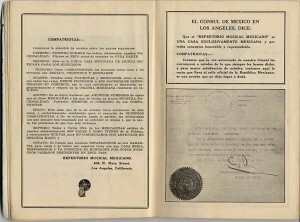 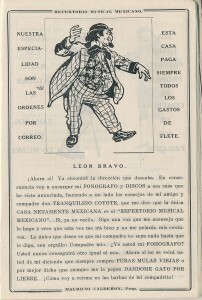 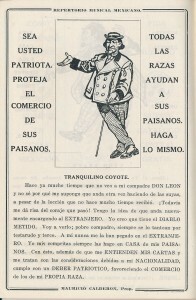 He purchased air time from local radio stations and sponsored Spanish language radio programs, re-selling the time to advertisers catering to the Mexican community. 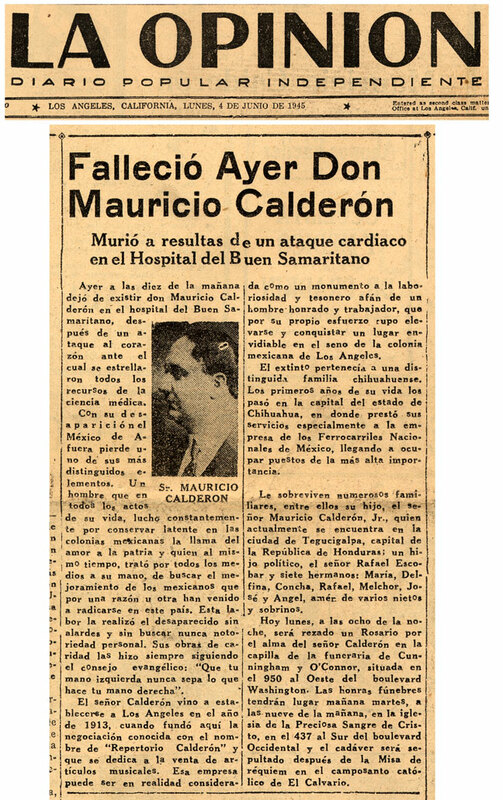 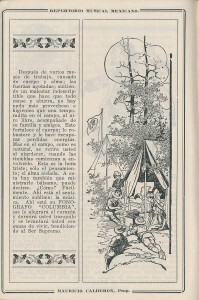 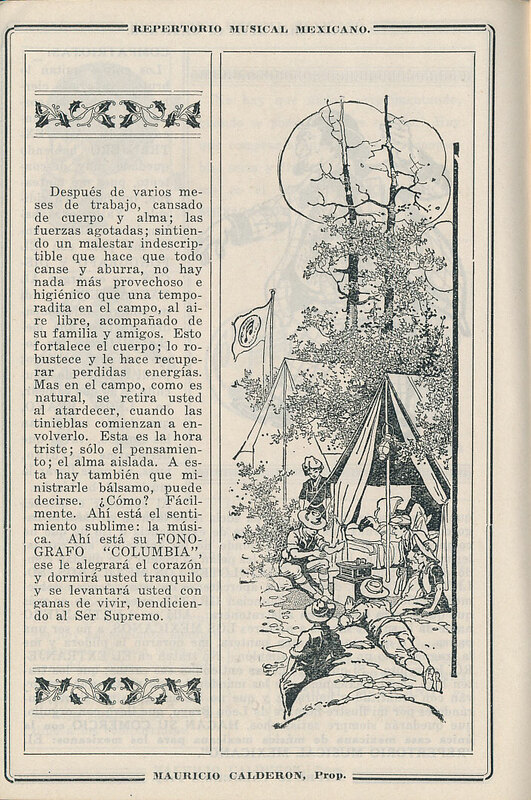 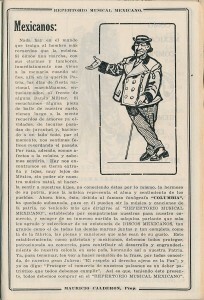 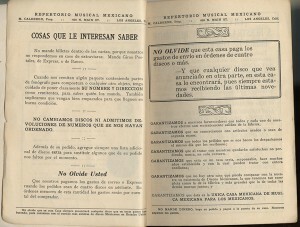 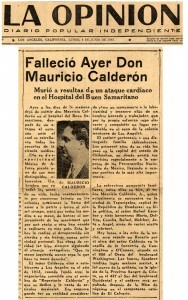 Calderón’s death was front page news in Los Angeles’ Spanish language newspaper La Opinion (see below). 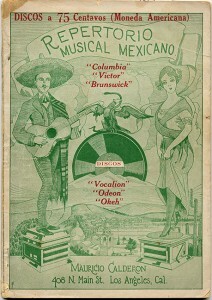 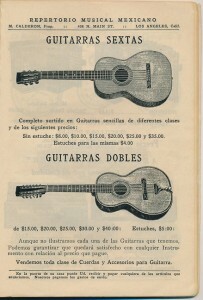 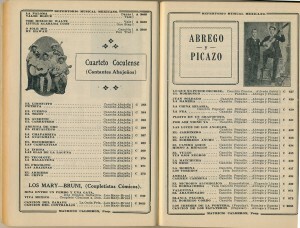 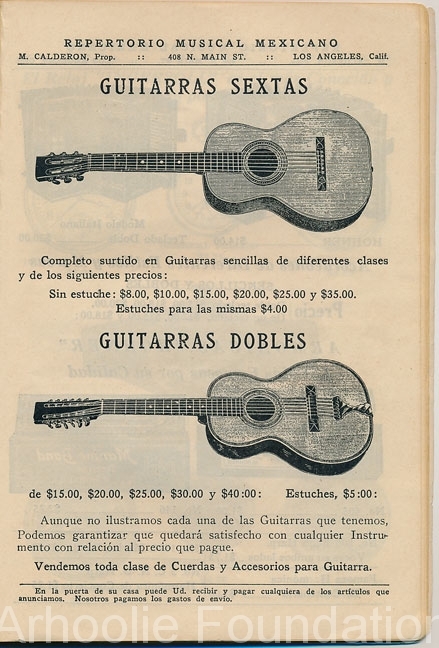 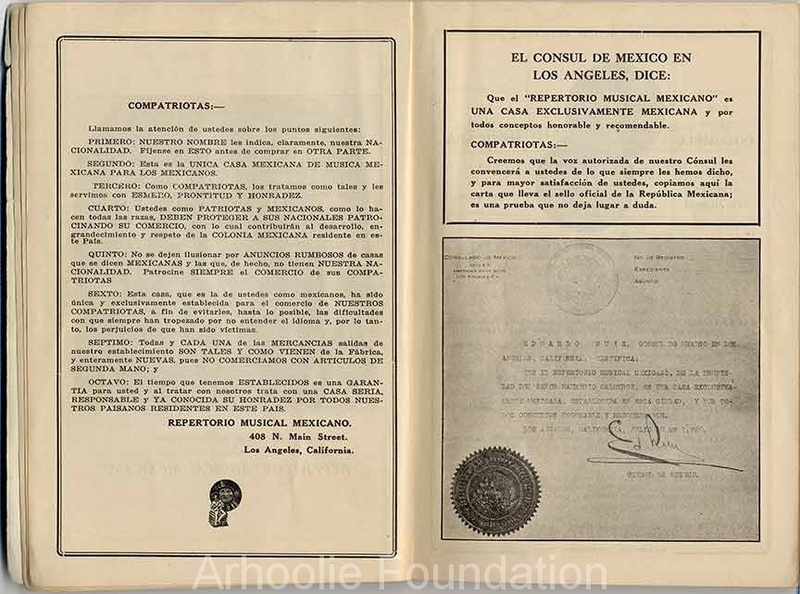 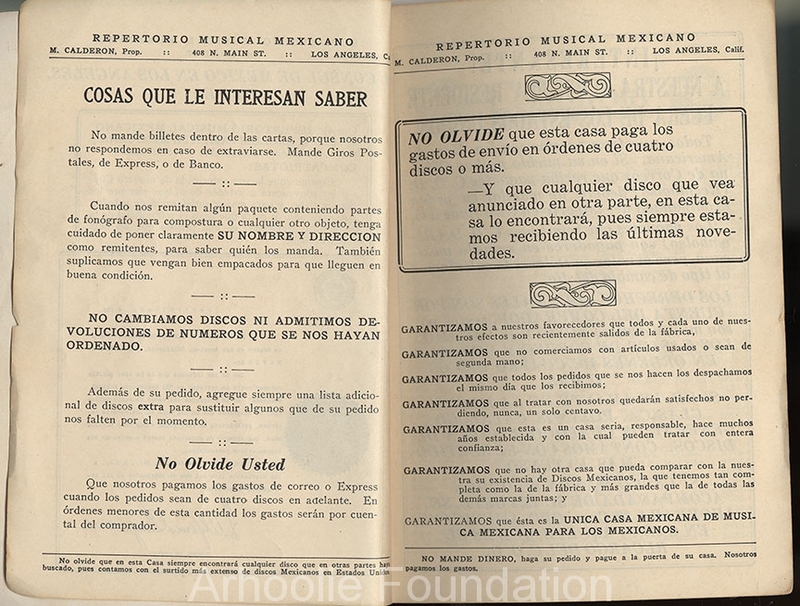 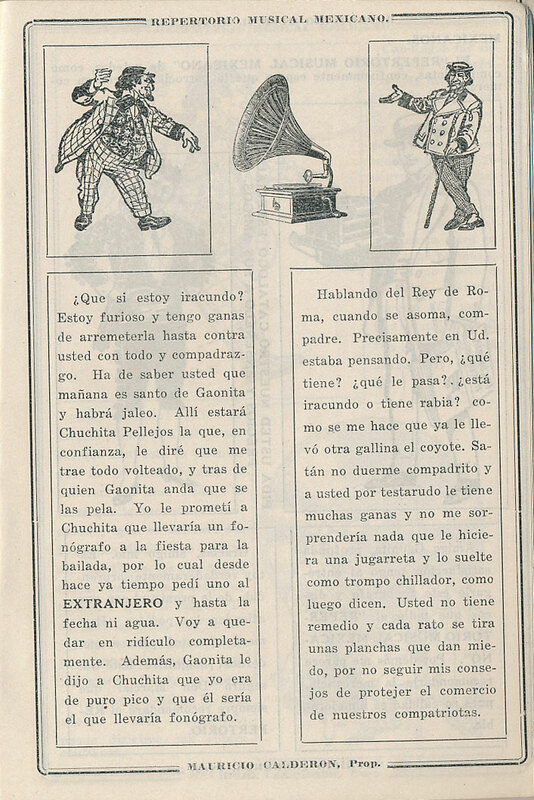 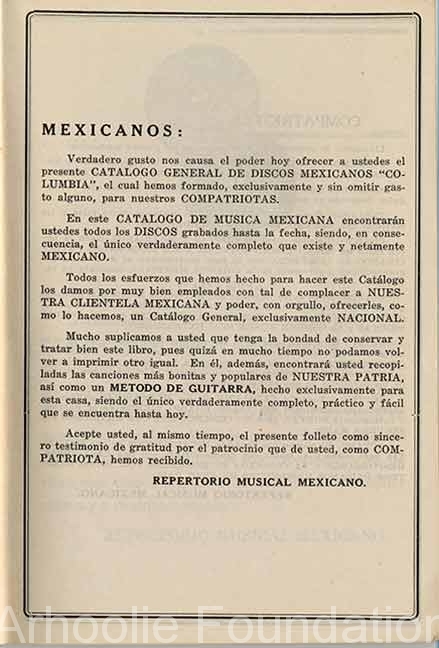 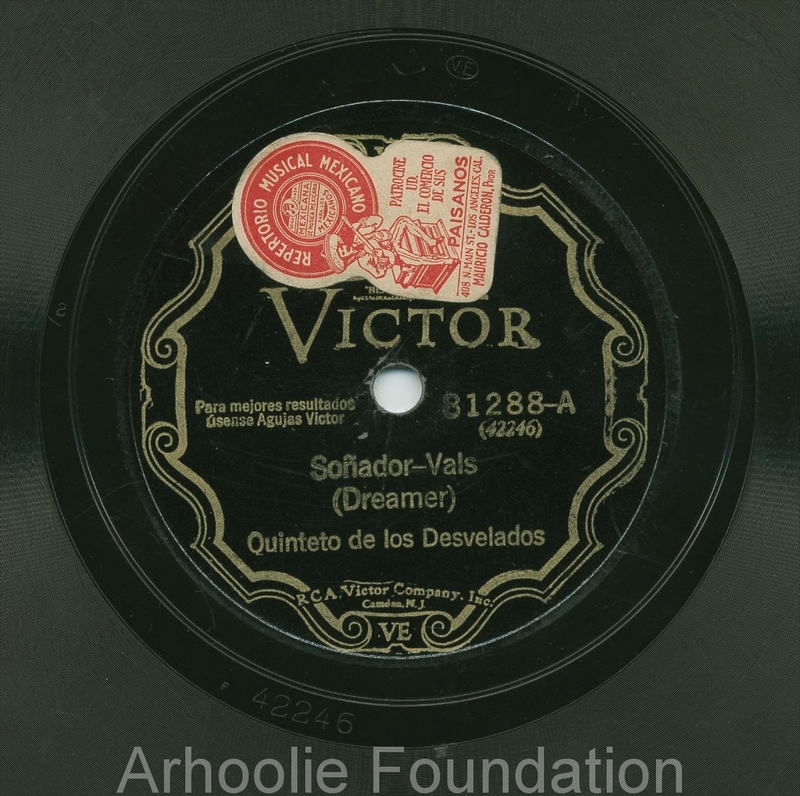 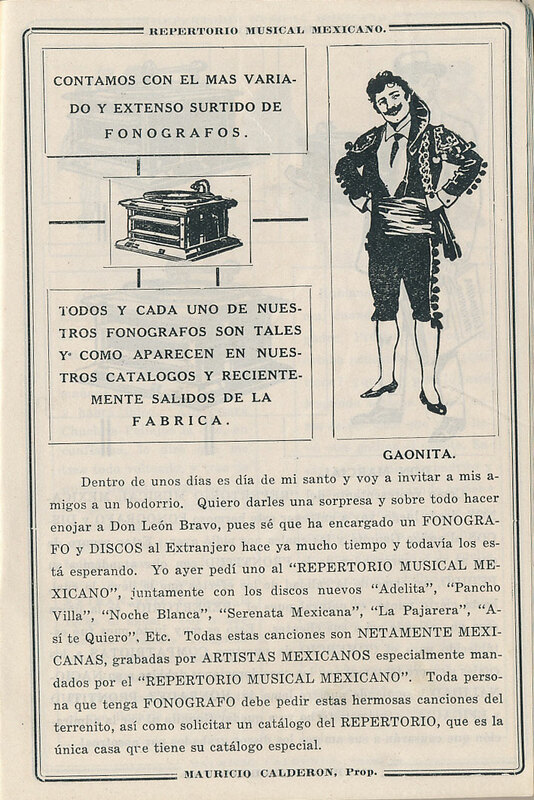 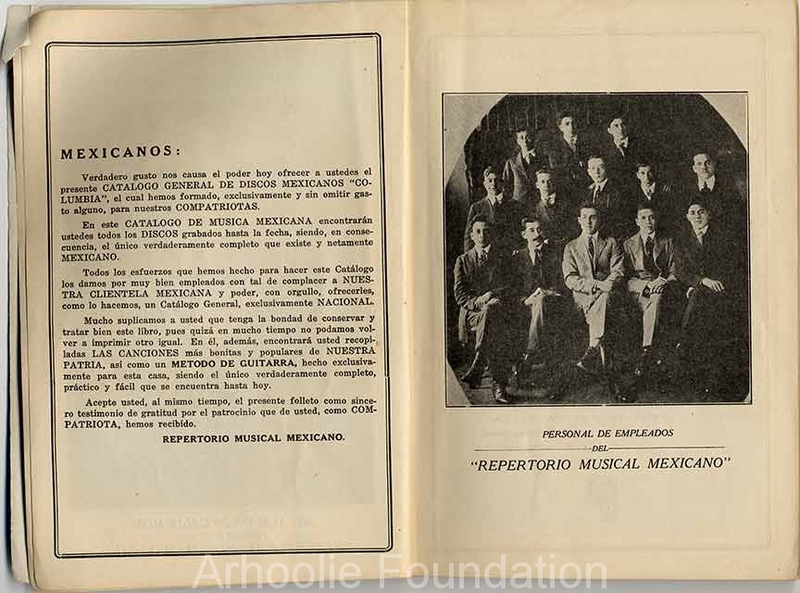 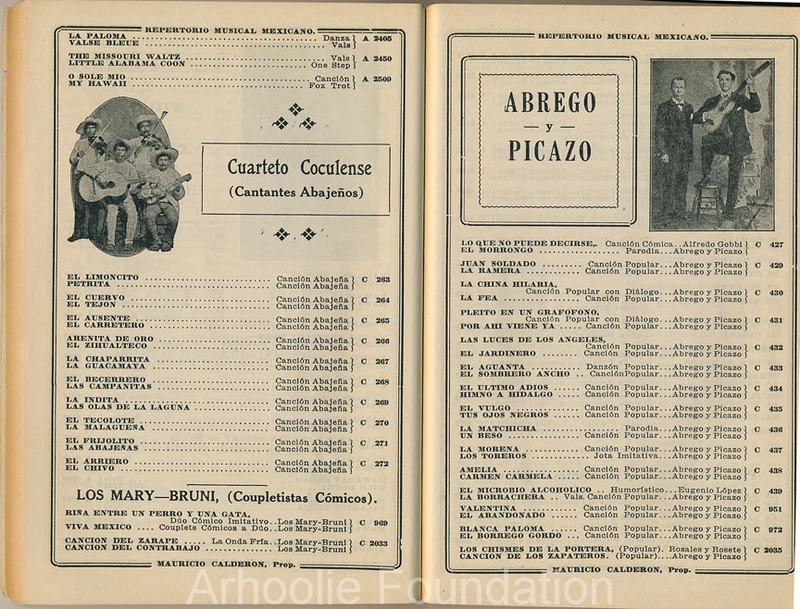 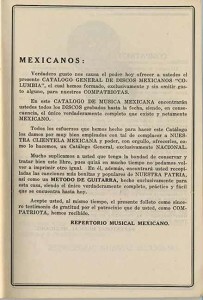 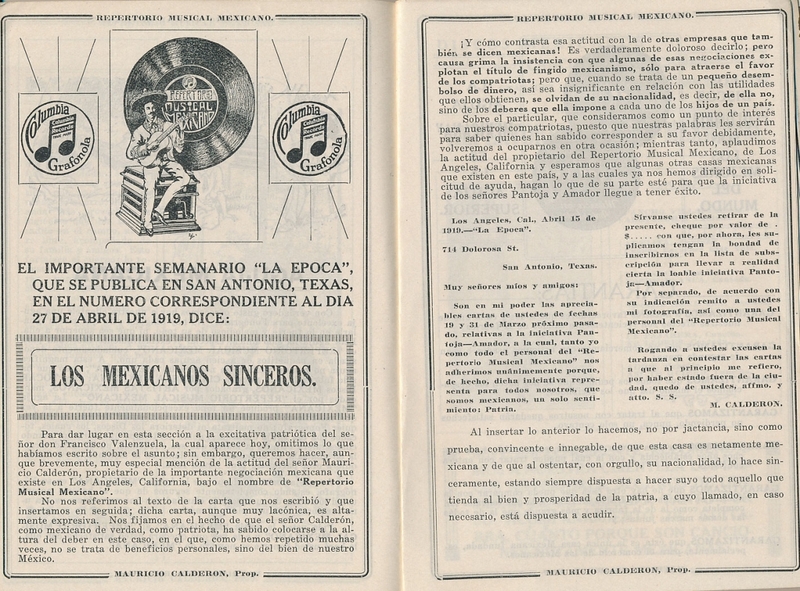 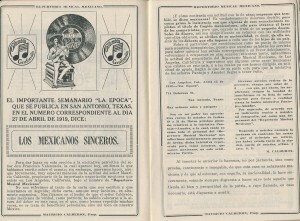 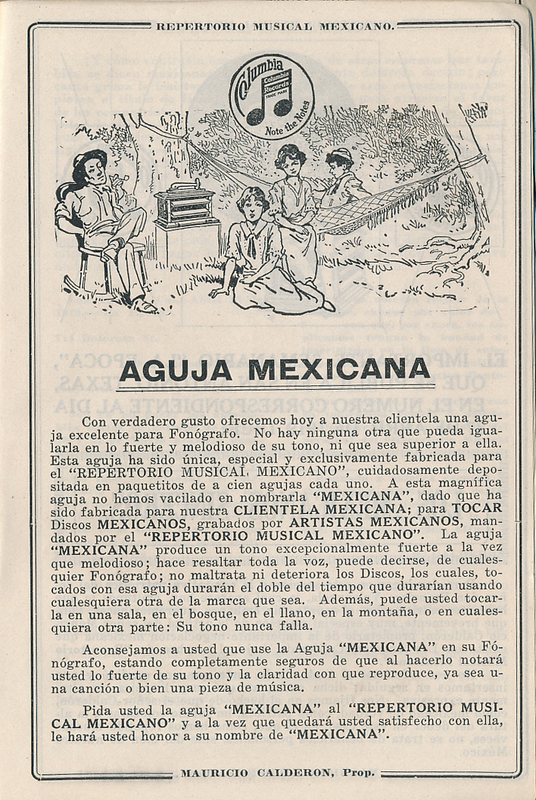 All images, catalogs, and 78 rpm records from the Arhoolie Foundation Frontera Archive. 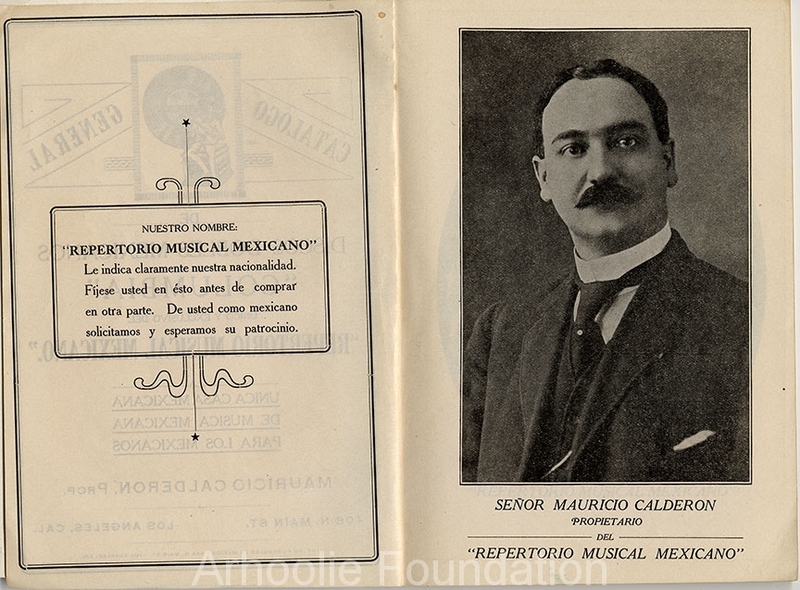 I am so happy and delighted to see this Repertorio Musical Mexicano-Mauricio Calderon, I am researching my father-in-law’s legacy… Quinteto Yucatan…composer Sergio M Perez.